Sharpen your look with this collar bar from incomparable Brooks Brothers. The collar bar is meant to be poked through holes in the dress shirt’s collar, and underneath the tie knot. The bar holds the collar together and presses the tie forward in a pleasing arc. 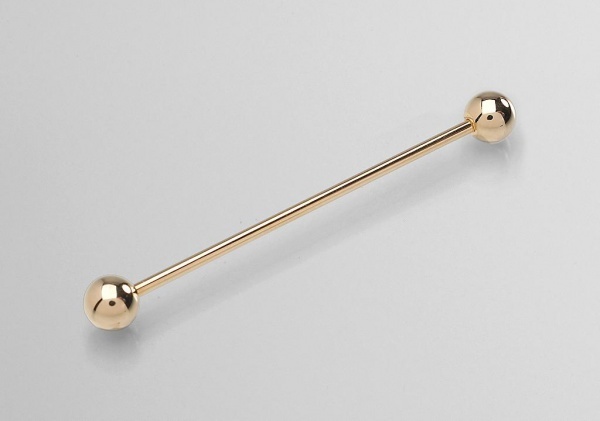 A fine bit of craftsmanship and design, this American made bar is available online now, in both gold and silver. This entry was posted in Accessories, Ties and tagged Brooks Brothers. Bookmark the permalink.